With each new version of Android, Google tends to make small tweaks to some of its default apps. 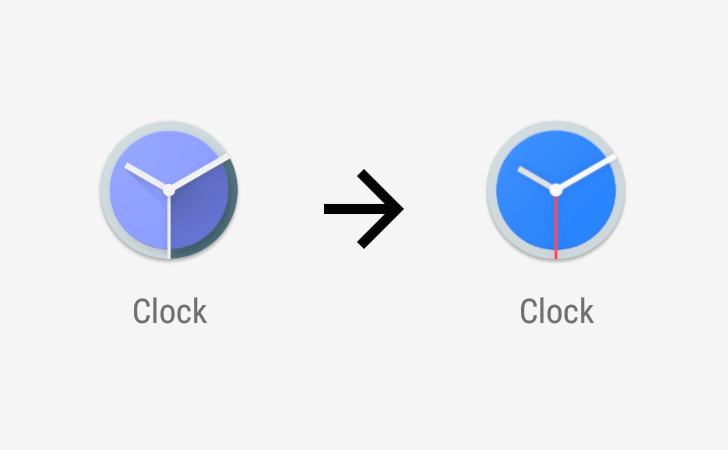 Such changes are often nothing more than superficial, a way of giving the new OS release a fresh feel. 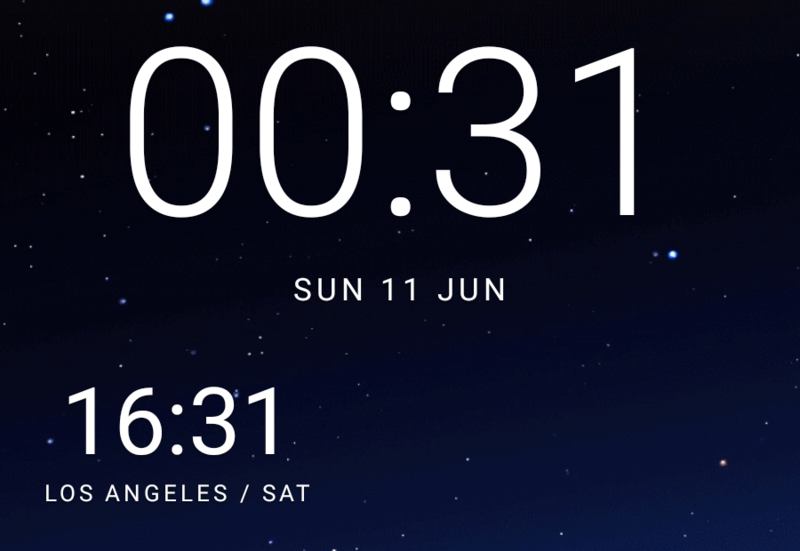 We're now on the third Android O Developer Preview, and the official clock app has been treated to a visual refresh, its first meaningful update since February. The first noticeable change in version 5.1 is an update to the app's icon. The primary purple color has been replaced by a vibrant blue. 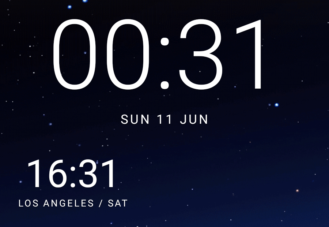 The bottom right third is no longer shaded, and the shadows on the clock hands have been removed. The second hand now stands out in bright red. Not sweeping changes, by any means, but I think I prefer the flatter, more striking design. Left: Out with the old (v5.0). Right: And in with the new (v5.1). After clicking the icon you would expect to be greeted by bold purple with red accents, but not any longer. The main color has been changed to a blue-ish shade of very dark gray, almost black. And the accent is now blue (cornflower blue, apparently). Curiously, the blue used for the accent is not the same as the blue used in the icon, but it's very similar (#468af5 and #5c94f1, respectively). Granted, this is impossible to tell without close inspection and entirely inconsequential, but it's enough to bug me now I know. Serves me right for taking the time to compare them. 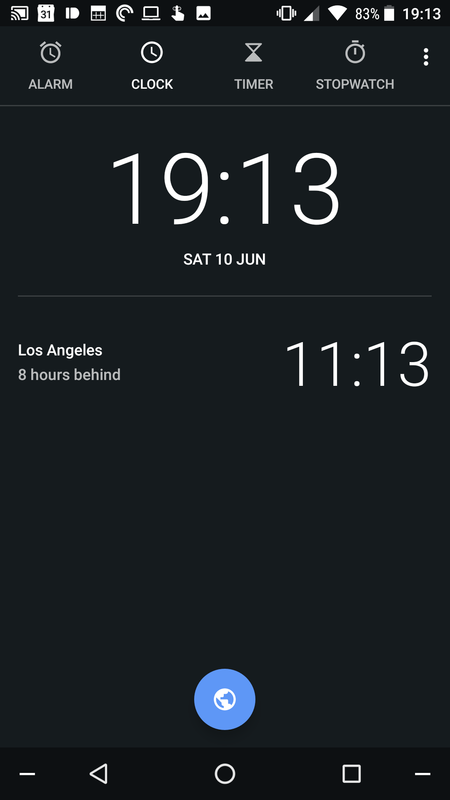 Another incredibly minor tweak can be seen in the size of the secondary local clock; it's ever so slightly bigger. 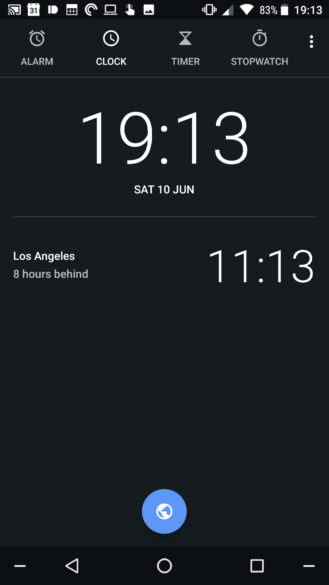 There's another tweak relating to the time for a secondary location, but this time as part of the digital clock widget. 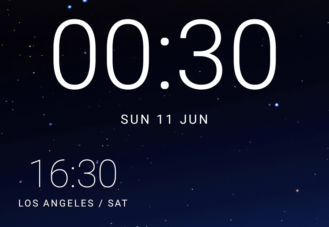 As you can see below, the font weight of the secondary 'Los Angeles' clock has been increased. Again, only a subtle change. 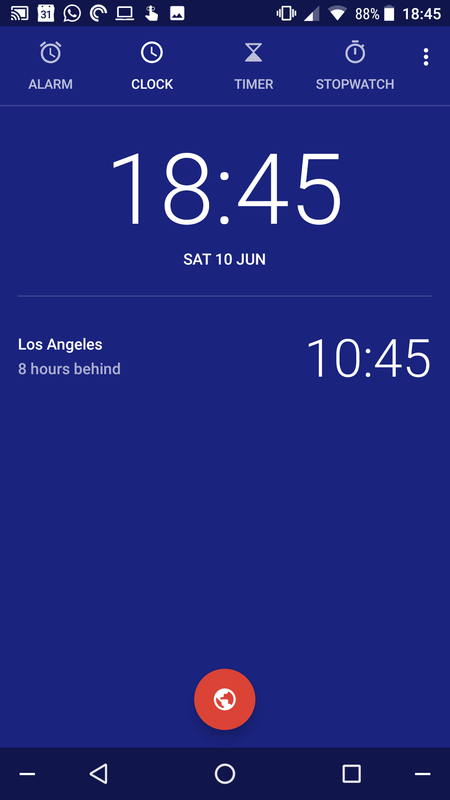 But it does make the time slightly easier to read at a glance, which is no bad thing. So this isn't exactly groundbreaking stuff, but it's typical of the incremental changes Google makes to its apps all the time. In my opinion, the clock is a little bit more attractive with the new lick of paint. Even if you're not running DP3, you can still download this latest version from APKMirror and install it manually. 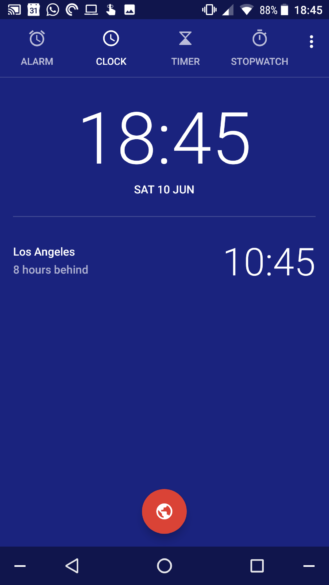 The new version of the Google Clock app is now being distributed through Google Play, too. 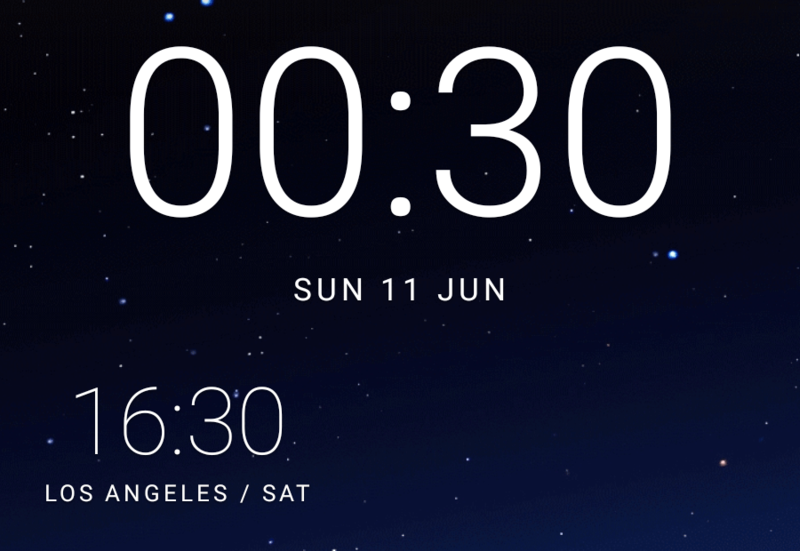 So if you are excited for the proposition of not being blinded at night when you set your next alarm, you can grab it much more easily. And, of course, it's available over at APK Mirror, too.